Although I may have posted my graduation pictures this week, I still have more school (does it ever end?!) to get through before I enter into the real real world. I start grad school in September at the Savannah College of Art and Design and I'm excited to really focus and learn more about what I love. I actually just received my class schedule yesterday so it's slowly starting to feel more real! On top of receiving my schedule I also just signed a lease on an apt! I'll be just about half a mile from the building where a majority of my classes will take place so I'll be biking to most of my classes. Although I have a basket on my bike it's not big enough to hold a bag so I'll definitely stick to what I know and continue using a backpack. They're easier to tote around and fit so much more! I vividly remember picking out a new backpack for school every year in elementary school and taking so much time analyzing and inspecting every one in the store to make sure I made the right decision. New school supplies (like backpacks) are honestly the best part about going back to school! 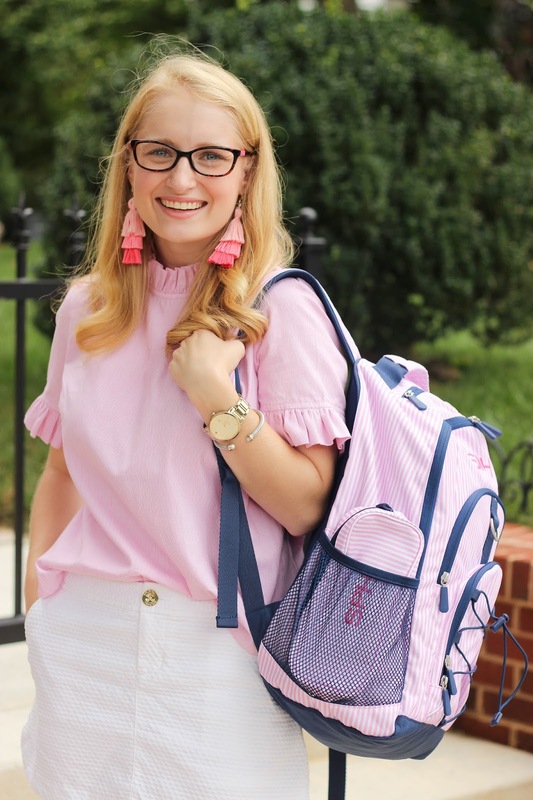 PBteen reached out to me to celebrate the back to school season and their new adorable collection of backpacks. And trust me, the one I picked out passes all my inspection. For me (and I think any college student) it's essential to have a generous laptop sleeve since you will most likely be toting it around from class to class. I have a 15" MacBook and it slide in perfectly to the built in sleeve. I also still had room for a couple folders and two binders as well! 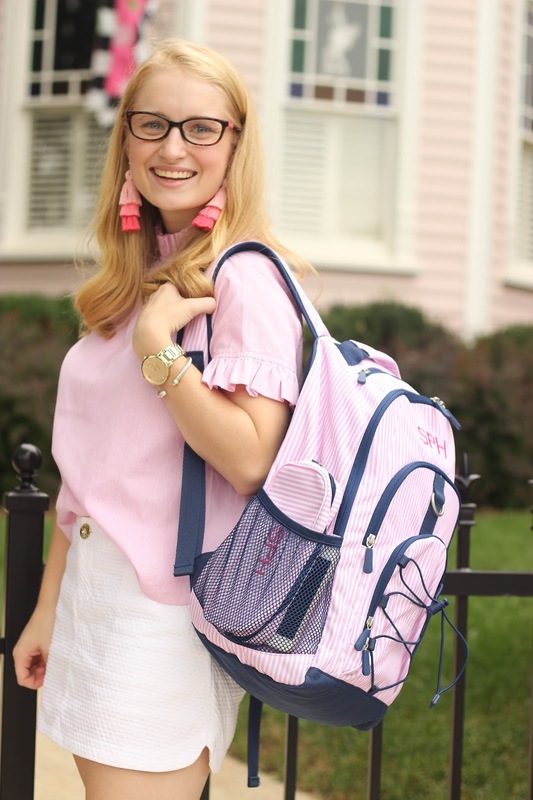 And let's be real...the best part of the backpack (besides the adorable pink and navy combo) is THE MONOGRAM. Ugh I can't take the cuteness...plus I mean how adorable will it look on the back of my light pink beach cruiser. 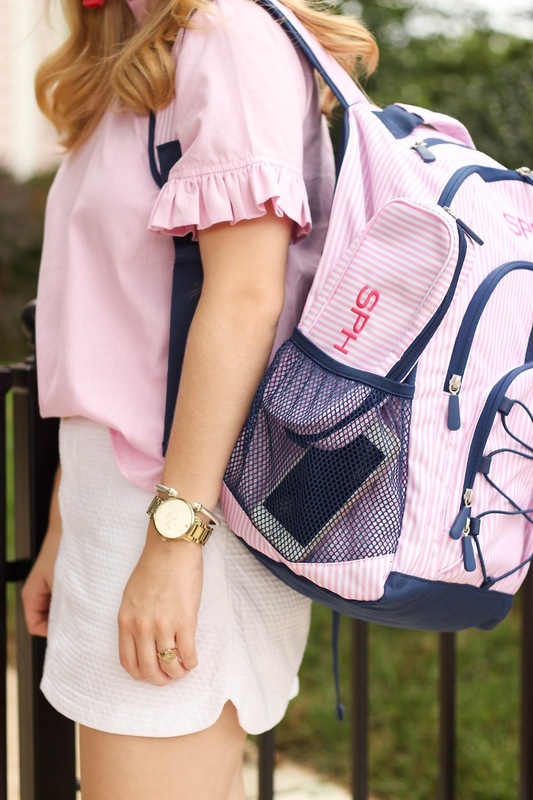 The matching pencil case with my monogram fit perfectly on the side of the backpack and luckily with 2 drink pockets, I still had room for a water bottle on the other side. 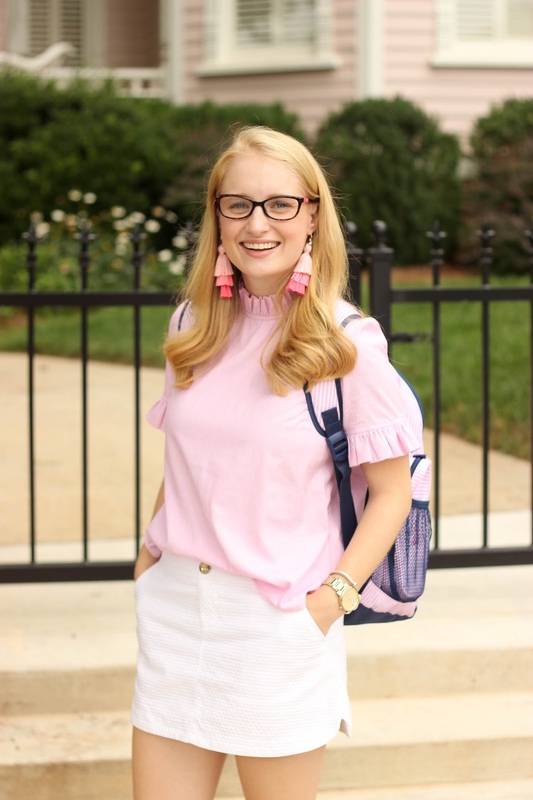 This post was created in partnership with PBteen but as always all opinions are my own! 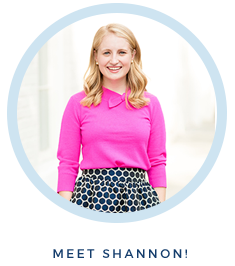 Thanks PBteen for this opportunity! 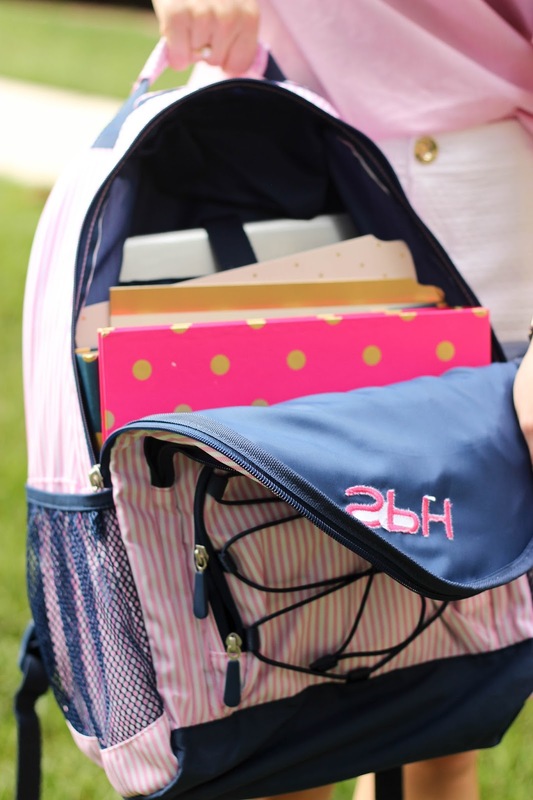 Check out the rest of PBteen's adorable backpack line! So many to choose from! That is an adorable backpack! One of the main reasons I love working in the school system is because I get to buy new school supplies every year! Hi Shannon! I love this post - the backapck is adorable. I was wondering where your glasses are from? 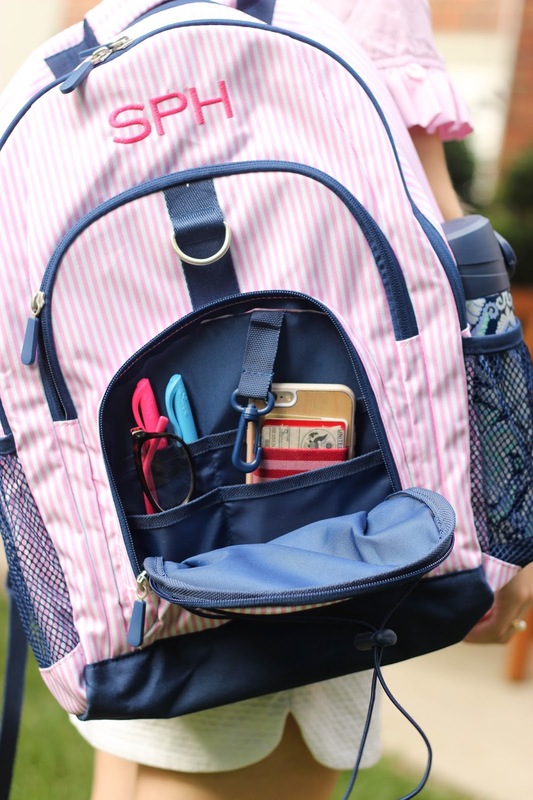 I have been looking at one of these backpacks for my daughter for high school and I was wondering how long it lasted you, and how heavy was it when you had all of your school supplies in it at once? Would you recommend this backpack for high school?